Caring for your yoga studio floor has never been easier. With a range of products that will clean, sanitise and get the job done faster and more efficient than ever before. The Gym Cleaner Organic Hand Sanitiser is made from 100% natural ingredients which are kind to the environment, and more importantly your skin. Formulated to be a high performance Sanitiser to help minimise the spread of germs that are introduced by members coming in. Helping keep germs at bay can help reduce the spread of germs, bugs and other nasty elements in your gym. The Gym Cleaner Organic Hand Sanitiser is quick to dry and will leave your hands and skin feeling nice and soft. For those engaging in more physical activities such as MMA, BJJ, Wrestling and Grappling Arts, this product is safe to use all over your body to help kill any germs that is picke dup off the mats. As always avoid ingestion and contact with eye. This bottle is capable of approximately 2200 applications and is safe to use externally on the skin. Gym Cleaner Natural Hand Cleaner is made from 100% natural ingredients found in plants and vegetables. Its 'super tough on dirt and grime, yet gentle enough on your hands and skin. Gym Cleaner Natural Hand Cleaner is Phosphate Free, Alcohol Free, SLES Free and contains No Petroleum Distillates. Just one 1 litre bottle is capable of over 500 chemical-free washes while being 100% safe while also being safe to use on sensitive skin. This bottle is capable of approximately 500 applications and is safe to use externally on the skin. As always avoid ingestion and contact with eye. 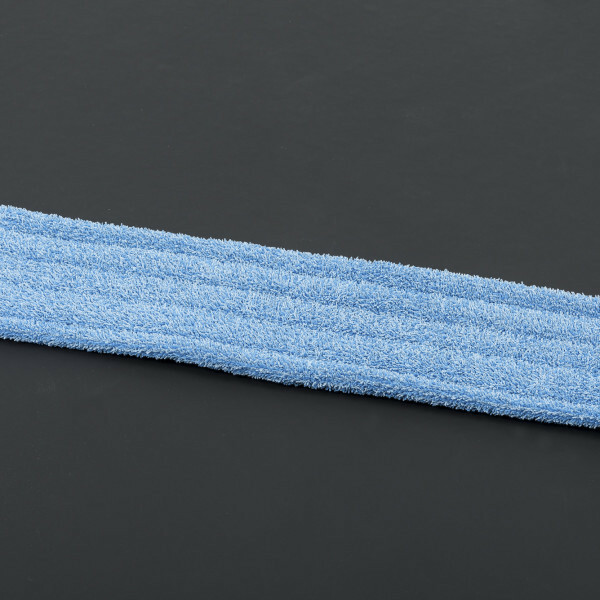 Keep your training area clean and free from dirt with replacement pads for your Zebra Mat Mop. Exclusive "free flowing" feature allows the pad to move easily over a mat or any hard surface. Pads can be laundered for reuse up to 200 times before they grow bacteria. Uses 1/6 the amount of cleaning solution compared to a mop and bucket. Pad picks up 3 times more dirt than a traditional string mop. The Zebra Mat Mop will allow you to keep your Zebra Mats and gym floor clean from dust and nasty germs. Designed to make life easy as possible with built in Fluid Tank and Jet Spray, cleaning your gym floor has never been easier. The Zebra Mat Mop uses a Micro Fiber technology mop head to clean more dust and dirt while the built in Fluid Tank and Jet Spray hold and apply an even and light amount of cleaning product annihilate germs and bacteria without having to cart buckets around your expensive floor and cutting you cleaning time by half. The Pacvac Backpack Mat Vacuum makes cleaning very easy, even in areas with limited space and hard-to-reach spots, like closets and stairs. Its ergonomic design, adjustable harness and light weight offer unique user comfort. With its three-stage filtration and extremely low noise level, the Backpack Mat Vacuum is suitable for even the most noise-sensitive areas. The hot-air exhaust is placed in the back for cooler operation. It can also be placed on the floor while in operation for added versatility. Zebra recommends that you vacuum your mats before you mop them. The tatami textured vinyl surface with heat sealed corners does not absorb water nor stay wet like carpet, and is specially designed to allow for moisture evaporation, preventing fungi, mildew and bacteria growth. Zebra Yoga Flooring assist in retaining heat and humidity in your studio. 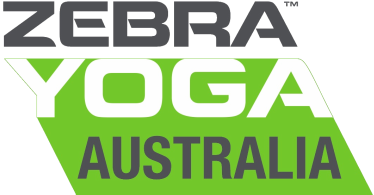 With Zebra Yoga Flooring your cleaning and maintenance is made simpler. 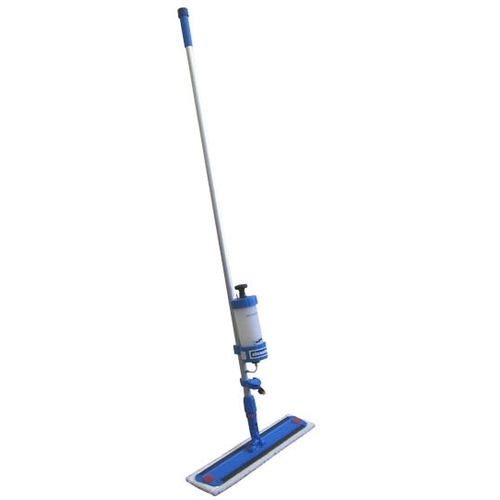 Zebra Mat Scrubber professionally cleans your mats in one seamless operation. You will be able to clean your flooring faster than ever. The dual action scrubbers get deep into the tatami texture to get every piece of dirt and grime out. Your flooring will look like new. Zebra Mat Cleaner is a perfect way to keep your Zebra Yoga Flooring clean and looking like new. This neutral disinfectant cleaner utilizes a one step, no rinse formula that kills the new MRSA “superbug” while it cleans, shines, deodorizes, and disinfects all non-porous surfaces. Available in a one-gallon concentrate for heavy cleaning, and a one-quart spray bottle for daily disinfecting and spot cleaning.